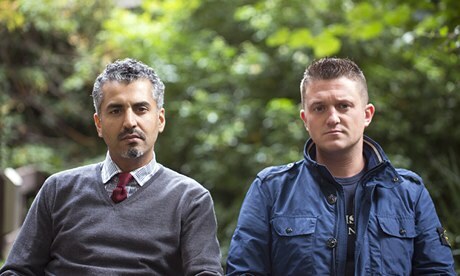 Quilliam Co-founder Maajid Nawaz requests taxpayer money to pay Stephen Yaxley-Lennon. “Fraud” perfectly describes Robinson and now he’s being thrown in the slammer for it. Quilliam works directly with neocons and anti-Muslim extremists. Yaxley-Lennon’s mask has dropped so why does Maajid Nawaz continue to defend him? Robinson’s continuing alliance with Robert Spencer raises questions for Quilliam and the BBC. It appears that Robinson is in fact influencing Quilliam and not the other way around. On the ideological fissures of the Islamophobia movement and the fact that Tommy Robinson hasn’t changed. 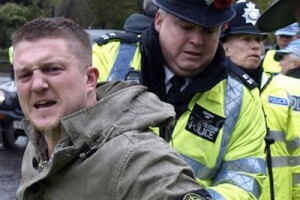 Stephen Yaxley-Lennon, AKA Robinson, is not a changed man. He may have disengaged from the EDL but it’s no victory for counter-extremism. Quilliam has brokered the move with Tommy Robinson and his right hand man Kevin Carroll. Guramit absconded before the start of the trial and was sentenced to six-and-a-half-years in prison in his absence.